Pisgah Brewing Company and Oskar Blues Brewery are teaming up with some of Asheville’s finest pickers to raise money and lift spirits in benefit of OBB’s nationally active foundation, CAN’d Aid. This concert event will feature Asheville’s one-and-only Sanctum Sully, with a special opening set from Bobby Miller’s Joint Co Mission. The event is slated for Saturday, December 21st, and $2 from every ticket purchase will go directly to benefit CAN’d Aid and the Colorado flood relief efforts. Select beer purchases will also benefit the cause, with special guest taps from Oskar Blues Brewery. The CAN’d Aid Foundation was established in 2013 as an avenue for community outreach and support from the Oskar Blues Brewery on a local and national scale. Oskar Blues’ owner Dale Katechis has been involved in community outreach for more than 15 years before coming up with CAN’d Aid as a way to focus their activity year round. CAN’d Aid and its operations have been focused towards helping their hometown communities of Lyons and Longmont, CO after the devastating floods earlier this year. A polished five-piece acoustic unit that’s been voted one of Western North Carolina’s top three bluegrass bands for four years running, the members of Sanctum Sully grew up as fans of numerous genres before ultimately joining forces in 2008. 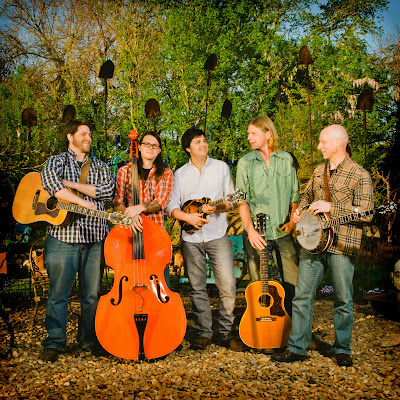 With three-part harmonies, mandolin, guitar, banjo and bass, Sanctum Sully can certainly pull off a traditional bluegrass tune in style. But their blues-riffs, crowd-infecting energy and can’t-believe-it-covers make them something notably different and indisputably fun. The CAN’d Aid Benefit will take place in Pisgah Brewing’s newly revamped taproom with doors opening to ticket holders at 8pm with music slated to begin at 9pm. Tickets will be $10 in advance and $12 day of show. Advance tickets can be purchased in the taproom at Pisgah Brewing Company with no service fees, or online at www.pisgahbrewing.com.